OneNote – Keeping on the recording data theme, I use OneNote for recording notes, tracking items, reminders – even from your cell phone! OneNote is my go to app. I use it every day and for just about everything. Best of all – you can get if FREE! When working with apps I look to find those that are cross platform – can be used on PC, Mac, Phones, Tablets, etc. OneNote fits the bill nicely. 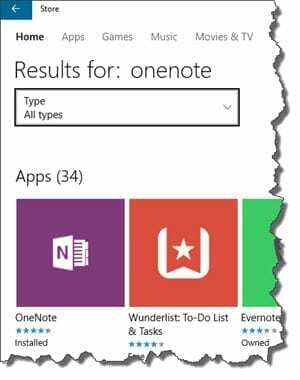 On phones / tablets go to your usual application store and search for OneNote. On windows tablets, it is usually loaded by default. One thing to note (pun intended) there is a difference between OneNote (free) and OneNote 2016 (paid app). Will save the in depth comparison for another post. For now just realize there is a difference. Most of the key items that make the app a great tool are included on both versions. If you remember the paper multi subject notebooks you had in school, OneNote looks and functions exactly the same. Left side are you notebooks and sections (tabs) middle are the tabs and to the right are the pages. You can have multiple notebooks, multiple tabs and multiple pages… and what makes it really remarkable – when you search will search everything! Searches will run through all notebooks currently opened in the app (in left column). Partner the application with a cloud file location, it will sync automatically. You can use your cell phone for capturing quick notes and ideas, pictures, even voice recordings. Once you are back on your computer, when you open the app your notes will be there. There are many times I will be out doing something and I get an idea. This is where it comes in handy. I have a Quick Notes section with pages for ToDo’s and priorities. Here is where I capture everything to triage later. Definitely one of the key items I use to help track and streamline what I need to get done! I will expand on the use and benefits of OneNote – this is just an introductory to let you know about a great app… Get it loaded and start using it!